Conference was so very good, they get better every time I see them. I get excited in anticipation for what is going to be said. There was a couple big points that were touched on throughout the conference in almost every talk. Focus on the foundations of you testimony, and strengthen marriages and families. Those are things that Satan is always and have always attacked in this world. If he can attack your foundation in Christ then everything else becomes easy. If Satan can destroy the family then he can disrupt the central unit that God has put into place to allow for the best success of his children. God has given us families so that we may see the eternal perspective of the order of Heaven, with Mothers and Fathers and children. Truth has been restored, but what are we surrounding our lives with? Are we surrounding it with that truth or are we surrounding it with the half truths and even lies of the world. What we focus on is what we will become. So the focus needs to be on the things that we know, things that we dont know or understand should not just be looked in a closet though. Always seek to find more then what we currently have. But with the foundation of what you already have firmly locked into place. We shouldn’t ever let the lack of knowledge or understanding of things disrupt or damage the foundation. Striving for the DAILY companionship of the Holy Ghost, is what leads to spiritual survival. * Life without this companionship only leads to darkness. He is the access to the celestial light that we need in our lives to change and become like our Heavenly Father. I am so grateful to be able to receive guidance and direction from Heaven from people who have been invited by a prophet to seek revelation for the world. what a wonderful gift it is. I am grateful for all of you and love you all. You are always in my prayers. This was such a wonderful week. This week two wonderful families were able to attend the temple. They had such a wonderful experience. They loved the feeling of the spirit that is at the temple. I reported that it was like a warmth in their chest that was accompanied with love and joy. That is the fruit of the spirit. It was so wonderful to be able to hear their reporting back. I love the temple so much I have such a testimony of the spirit that is truly there. We also were able to have a ward activity in preparation for Easter, the true meaning. It was interesting to kinda notice how much goes into Christmas for the birth of the savior, but the same excitement is not around Easter for the Atonement of the Savior and his resurrection. I am so very grateful for the sacrifice that was made for us to be able to live with our Heavenly Father again. I know that Jesus Christ Lives, and that he will come again. I know that he died and suffered for each one of us so that we dont have to. So transfers…….. I am getting transferred to Hermiston OR. I am very excited for the new adventure and so very happy that I am leaving this area feeling that I have done what I was supposed to do. I Love Wenatchee and I have already been praying for love for Hermiston and the people that I will serve. Charity is key to developing love for anyone or anything. The church is running a video and campaign for people to spread the True Meaning of Easter. The video is called “Because He Lives” and will be up and running by March 28th. Find it, Watch it, and Share it. It will be on many sources of media so it wont be hard to find. Spread Easter to Everyone. I decided to write about this topic today because of a trade-off that I went on with an elder earlier this week. To often we spend way to much time living our lives in the past. This is seen in phrases like, “the good ole days,” or “I wish I could just go back.” The beauty of the atonement of Jesus Christ is that because of him we can always be happier tomorrow than we are today if we allow his grace to work in our lives. Life is not intended to have a peak of happiness and then go down hill from there. Men are that they might have joy (2 Nephi 2:22), not men were that they used to have joy. Not only is that wrong doctrinally, but probably grammatically too. This philosophy of seeing every new day as a possibility to progress rather than regress has changed the way that I look at my mission and at life. I am excited by the fact that through Jesus Christ the future will always be something to look to with eager excitement. This is the case because true lasting happiness is never determined by our circumstances, but instead by our character. 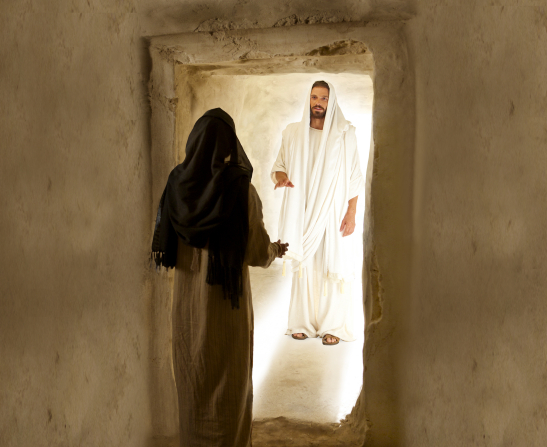 Even through Christ, death is not the end, but the pathway to an even brighter and more glorious day, that is of course–like always–if you apply the atonement of Jesus Christ. Anyhow, I hope y’all loved my spiritual thought. I just thought it was a fitting message for Easter. This past week was a great one as always. It started with a wonderful FHE at the mission home, and then we got to see a wonderful ward function for the Messiah by Handel on Saturday. Then Sunday was great when this young guy named Mat who we met the day before came to church and loved it! However, that is the past now 😉 And though it warms my soul like the hot sun on my back, I am more concerned by the beautiful scene ahead of me. I have the blessed opportunity of seeing 4 wonderful children of God enter the waters of baptism this Saturday! Boy the future looks so bright, I might need sunglasses!